Appliances are an integral part of our everyday lives. The simple luxuries of a washer/dryer, dishwasher, stove, or refrigerator are taken for granted until that one day comes when they stop working. It is then that we realize how having a family and no washing machine are not an option. Repairing appliances is more than a job for me. Having four girls, I understand the impact a broken appliance can have on the family. Not being able to cook dinner or do the dishes and laundry can add stress to an already stressful and hectic lifestyle. The best part of my job is meeting the families, sharing stories and making friends while fixing the problem as quickly as possible. 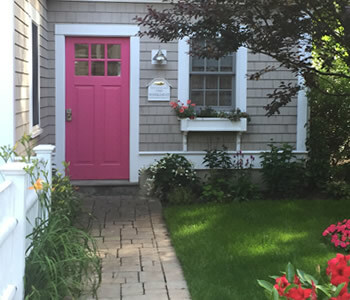 Over the years, my customers have become part of my extended family. 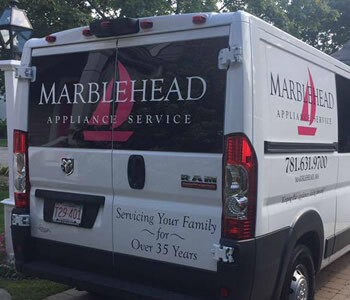 The simple success of Marblehead Appliance is the relationships that we have built servicing families for over 30 years. We will never intentionally misdiagnose a symptom or replace a part that does not need to be replaced. We will never perform a service that we do not feel is absolutely necessary. We will never charge you for a service that we do not perform. If we feel, based on experience, that a machine is too old or worn to economically repair with a reasonable expectation of satisfactory continued service, we will advise you of our opinion. However, the decision to repair a machine or take it out of service ultimately rests with you. We will always make our best effort to arrive at the worksite at the promised time. However, emergencies happen, machines can be temperamental, traffic can be unpredictable and delays can and do occur. As soon as we know we are going to be late, we will attempt to contact you with a revised time of arrival. You truly are a special person and we are so thankful to have you as one of our local donors. Your kindness saves our organization several thousand dollars a year, money we can use to better help our families. Thank you so very much for being our friend and supporting our House and Mission. Excellent service!!! I called Marblehead appliance at 8 p.m. on a Sunday night for an issue with my fridge. Within half hour Steve arrived with no extra charge for coming after hours. Steve was professional, kind, very knowledgeable and had both parts I needed right on his truck! 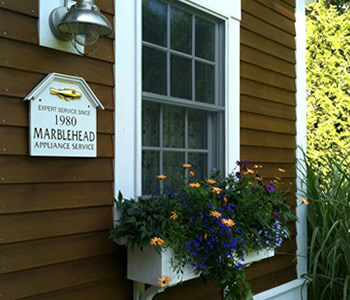 I highly recommend Marblehead Appliance to anyone in need of appliance repair!